BELIZE CITY–A $14 million cultural renaissance project was announced on the occasion of the St. George’s Caye Day celebrations by chairman of the National Celebrations Commission, Hon. Manuel Heredia, Jr., Minister of Tourism, Culture and Civil Aviation. In his address on Wednesday morning, September 10, Heredia said that the multi-million-dollar project will be spearheaded by his ministry, working in collaboration with the National Institute of Culture and History, and the Belize City Council. The project will entail the rehabilitation of colonial resources in what he described as the old, historic downtown of Belize City, he said. 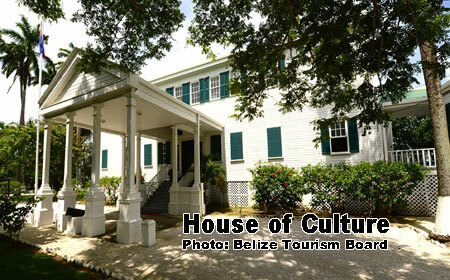 The former Government House, now known as the House of Culture, will become the National Colonial M useum of Belize. Heredia said that the plan is to renovate important public and historic areas in downtown Belize City, and some of these renovation projects have already been commenced by the Belize City Council. He added that under the project, there will also be a robust community, oral history program, which will permit the rekindling of stories and the recounting of events of the nation’s earlier beginnings.